What is Vodafone Telecoms Management?  Vodafone Telecoms Management is a fully managed service that makes it simple to control key activities - whether it's ordering devices, configuration, inventory and expense management, or overseeing the contracts with your telecoms suppliers. This comprehensive, fully-managed service enables you to reduce costs substantially by simplifying the way your fixed and mobile telecommunications operate. It includes consultancy services, outsourced business processes and round-the-clock global support. Why use Vodafone Telecoms Management? Professional Services and Consultancy - to identify cost savings and scope to drive operational efficiency. Fixed and mobile - optimize your total telecoms expenditure and take control of every operational aspect of your telecoms. Global service - 24/7 global support, a single point of contact and a clear Service Level Agreement. Integrated managed services - device procurement and management; global logistics; expense management and security; tightly integrated and presented to you in a customised portal to make managing every aspect of your telecoms lifecycle easier than ever.